The Counting By Elevens Song has a fresh beat that your kids will love and will have them singing, dancing and learning how to skip count! 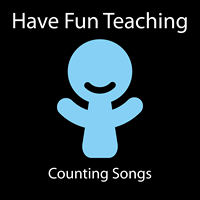 The counting songs from Have Fun Teaching are high energy songs that get your kids moving around. Research shows that during exercise your brain is more receptive to learning. Description: Math song that teaches counting by eleven to ninety-nine. This song will teach students how to count by eleven from 11 to 99. This is a song for learning how to skip count by 11s.